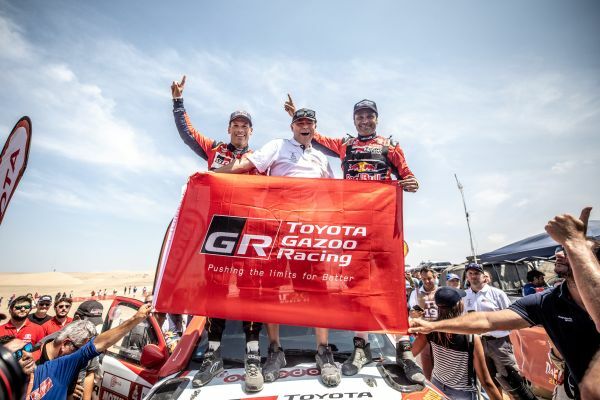 18.01.2019: Toyota Motor Corporation GAZOO Racing Company Concerning the Outcome of the 2019 Dakar Rally The 2019 Dakar Rally has reached the finish line! • Team Land Cruiser Toyota Auto Body (TLC) has emerged victorious for the sixth consecutive year in the Production Division category. 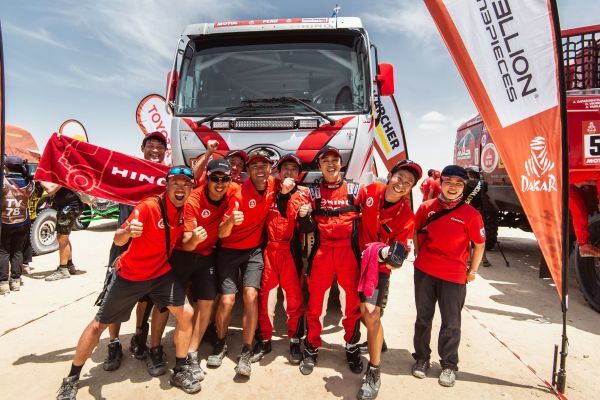 • Hino Team Sugawara came in first place, as well, for the tenth consecutive year, with the Hino Ranger in the Truck category (10-liter engine or smaller). 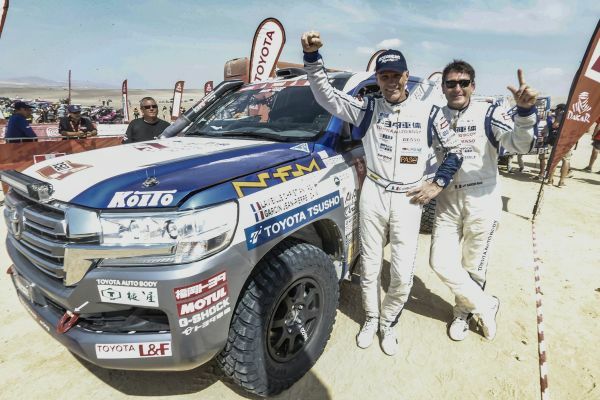 • Nasser Al-Attiyah and Mathieu Baumel of TOYOTA GAZOO Racing South Africa won the rally in a Hilux. This is a momentous first - the first time a Toyota vehicle has achieved this position at the pinnacle of the legendary Dakar Rally. Last year, I had the opportunity to join a pre-event test drive held by TLC in the Moroccan desert. The experience made quite an impact on me, as I had never driven over dunes before. Imagine being in the driver's seat, climbing up the steep dune slopes, only being able to see the sky. Then, on descent, running down slopes that are more like sandy waves flowing in the sea, giving you the feeling that you are surfing.